Today I received a surprise via mail which made my day! 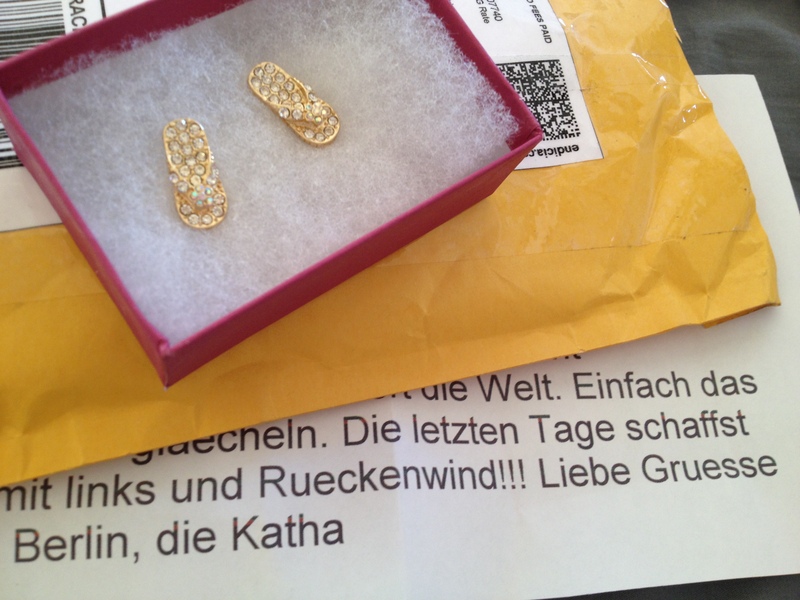 Somebody who I only know through this blog and social media did send me these wonderful FlipFlop earrings with a super sweet note. K. from Berlin thought I could use a little encouragement due to my illness and it worked! 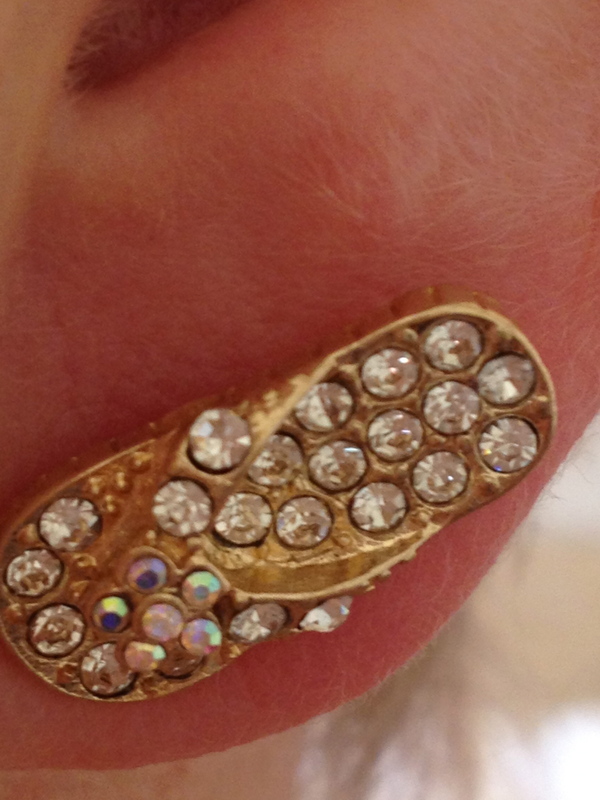 Thank you so much – that was very sweet of you and I really appreciate it! Vielen herzlichen Dank – das war super nett von Dir und ich weiss es sehr zu schaetzen! Das war aber wirklich eine ganz liebe Idee! Toll sehen die aus und wo du doch so ein großer Fan von Flip Flops bist!